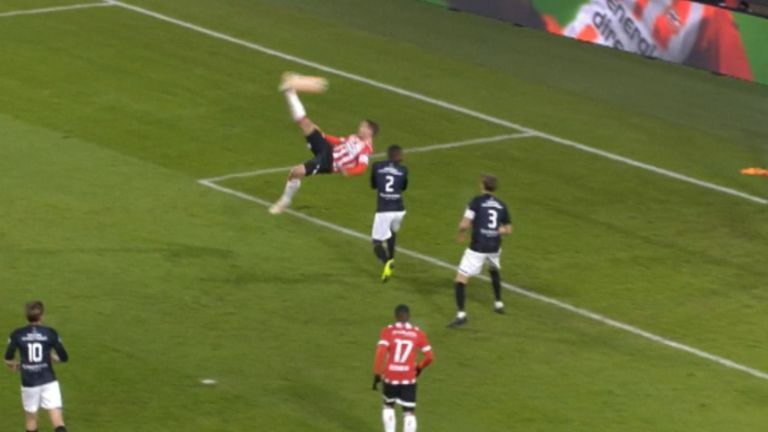 Former Newcastle forward Luuk De Jong channelled his inner Cristiano Ronaldo with a brilliant bicycle-kick for PSV. De Jong met Hiving Lozano’s cross in spectacular style early in the second half to put his side 2-0 up against Heerenveen. The Eredivisie leaders ran out comfortable 3-0 winners but De Jong, who failed to score during a miserable loan spell on Tyneside in 2014, stole the show.